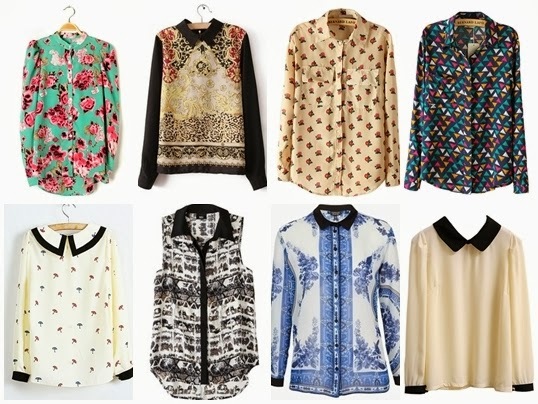 I LOVE chiffon blouses. They're everywhere. And now, in so many patterns, colors, formats and types. I've find lots of them on ebay for less than 10£! Eu ADORO blusas chiffon. Estão por todo o lado! E agora, em tantos padrões, cores, formatos e tipos. Encontrei imensas no ebay por menos de 10£!